So with my recent promise to myself to do ‘less thinking more creating’ I’ve taken a new approach to what constitutes ‘creativity’. Of course I want to knit, sew, draw and paint but it’s not every day that this can happen and surely ‘creativity’ doesn’t need to be limited to these disciplines? 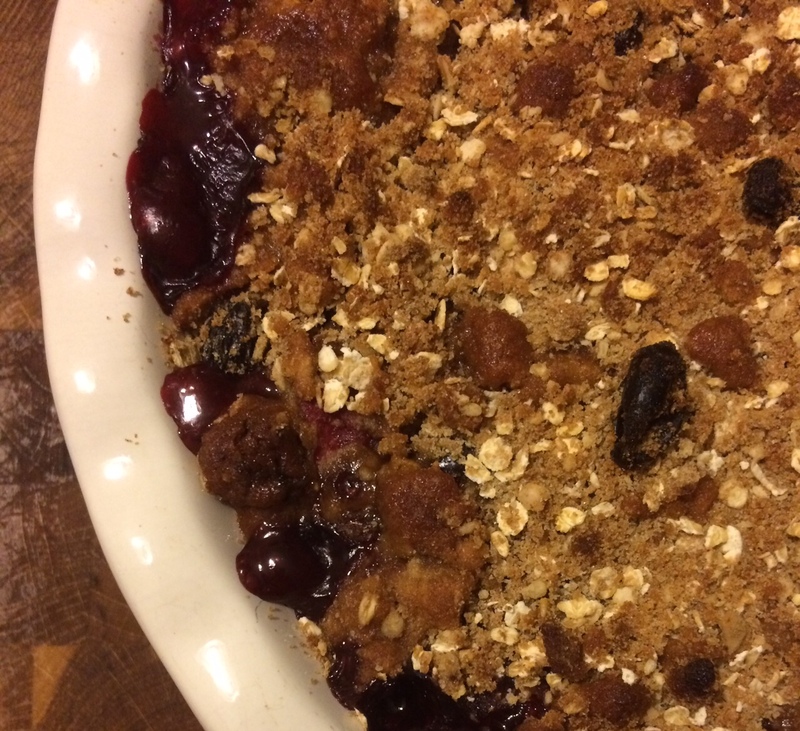 I’m counting this weekend’s ‘Apple and ‘Freshly picked from the back of the golf course’ Blackberry Crumble’ as my most recent creative effort. There may not have been much head scratching, yarn or doodles included in the making process but there was a lot of fun. 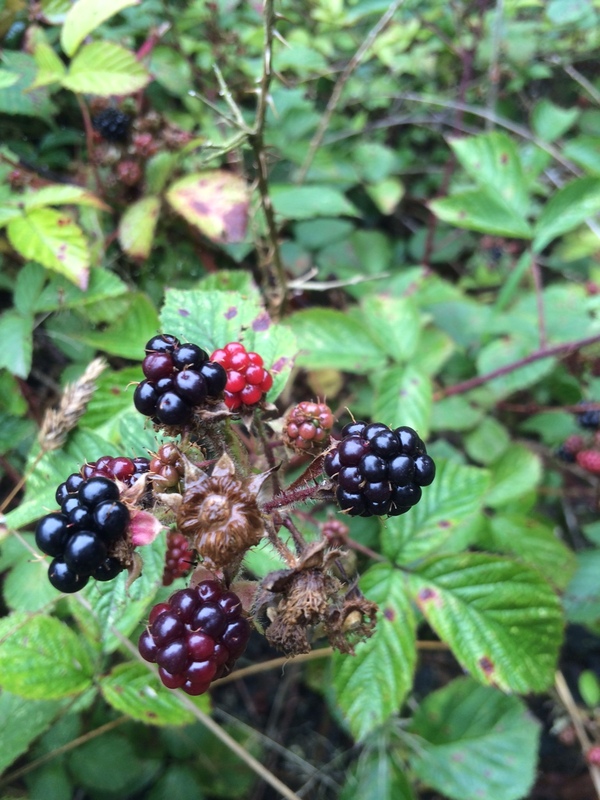 Embarking on the first of which will be many of our family ‘autumnal’ walks across the fields near our house, we discovered that the blackberry bushes that run along the back of our local golf course had begun to bear fruit. 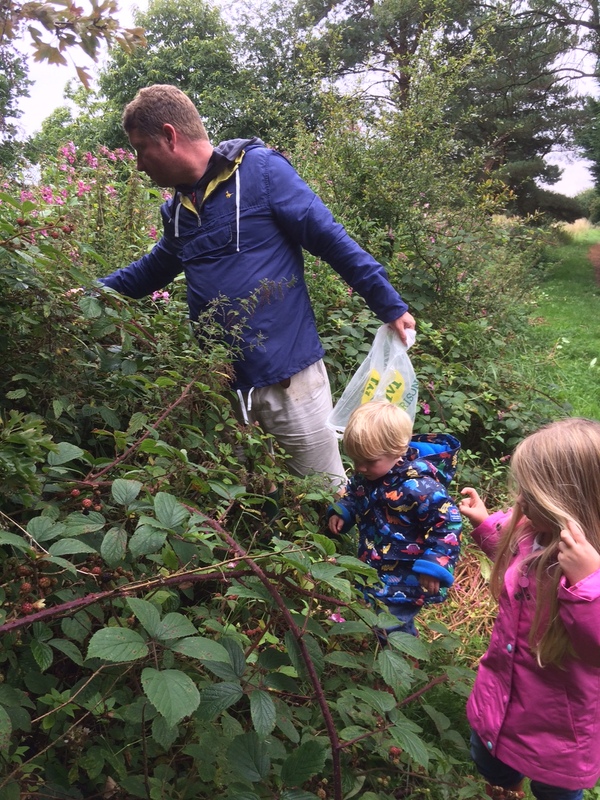 A quick stop at our local pub for light refreshment and we were able to return to the bushes well equipped with two carrier bags and two eager children, excited at the prospect of picking all the berries. 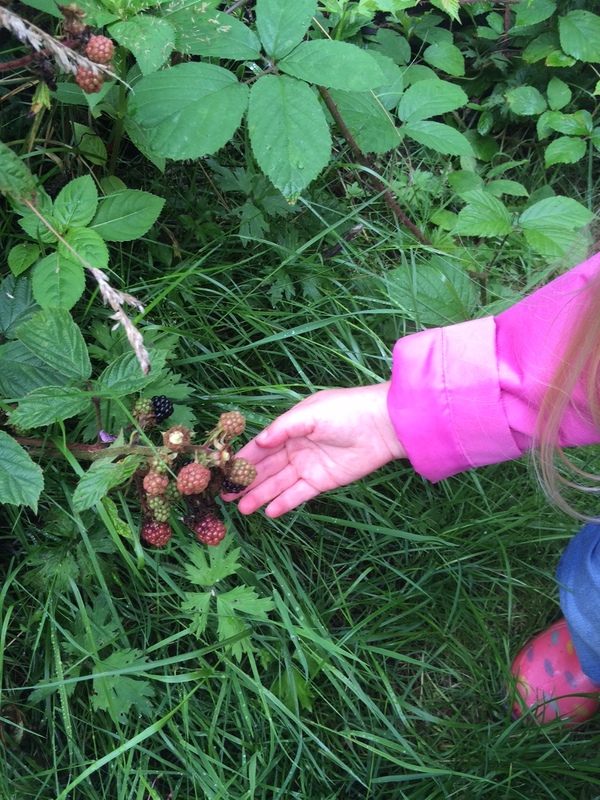 It was great fun watching the children eagerly search for fruit and add the juicy berries to their collections… with the odd one or two being sampled of course. I have great memories of doing the exact same thing with my Grandad and there’s nothing quite like ripe fruit freshly picked and popped in your mouth… As long as you’re picking from the top branches of course!! Apple and Blackberries all ready to meet the crumble! 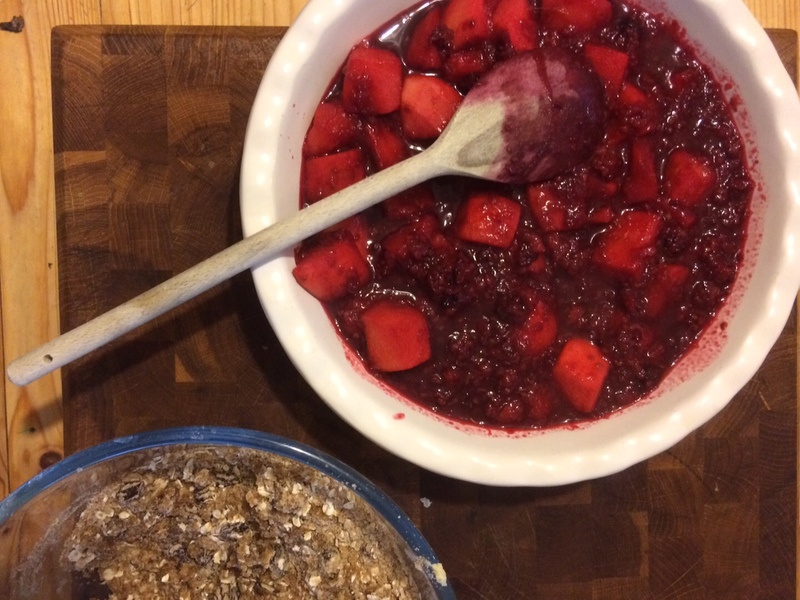 Once home our bounty was washed and made into a delicious crumble and with the words ‘I love our berry pie mummy’ uttered I couldn’t be happier!